Lee Selby made a successful defence of his British and Commonwealth featherweight titles against John Simpson at York Hall on Wednesday night. Referee Marcus McDonnell stopped the contest two minutes and two seconds into the fifth round after Simpson had been floored by a left hook. The Scot did manage to beat the count but McDonnell decided he was in no state to continue and waved off proceedings. The Welshman became the first fighter to stop Simpson when Selby knocked him down in round five and the Scot did not beat referee Marcus McDonnell's count. 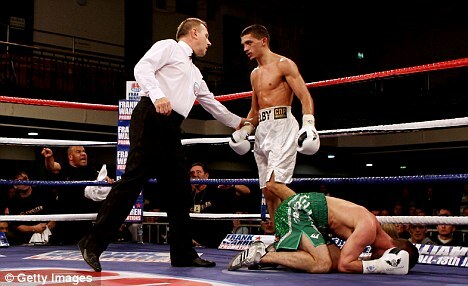 Selby's victory in London Hall earned him his fourth stoppage in five fights. "This sends a major message that I'm ready to move on from the domestic level to the European," said Selby. The Barry boxer, who beat Stephen Smith in September to claim the Commonwealth and British belts, now hopes to secure a shot at the European featherweight title in 2012. It was the first time Simpson (22-9) had been beaten inside the distance in his 31-fight career and improves Welshman Selby's overall record to 12-1 (4 KOs). On the undercard, Hatfield middleweight Billy Joe Saunders won his 12th straight fight since turning professional with a technical knockout of Tommy Tolan after 67 seconds of the opening round. And Steve O'Meara defended the Southern Area light-middleweight title with a first-round knockout of Nathan Weise. 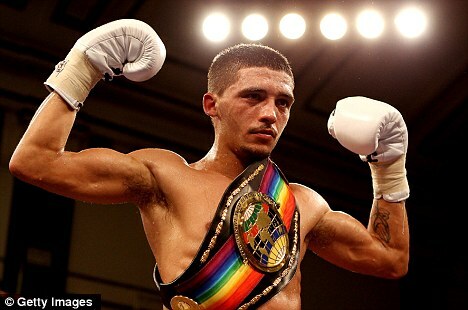 Barry's Lee Selby retained his British and Commonwealth featherweight titles with a fifth round stoppage of Greenock's John Simpson at the York Hall in Bethnal Green. Selby, who had won the titles by knocking out Stephen Smith three months ago, continued his stunning form by handing veteran Simpson the first inside-the-distance defeat of his career. A left hook to the body from Selby was enough to leave Simpson down and out and cap a superb year for the Welshman, whose younger brother Andrew has qualified to represent Great Britain at the London Olympics.